Jodo (short for Shindo Muso Ryu Jodo) is a traditional Japanese martial art dating back to the 1600’s. 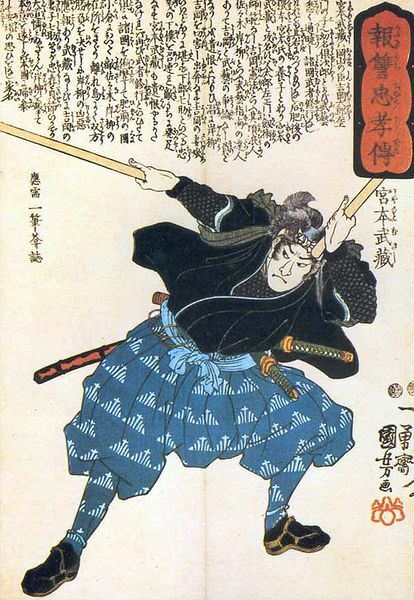 It features the jo (short staff) in defense of the bokken (traditional Japanese wooden sword). Here at AZC, jodo training is an extension of individual Zen practice - equanimity in the face of uncertainty. Jodo training is suitable for both men and women of all ages – to include mature teens. As a Zen student, are you looking to add a slightly more dynamic dimension to your Zen practice? Have you always been attracted to the martial arts - but kicking and punching just doesn't quite cut it for you? Are you currently studying a martial art and are looking for a way to incorporate a meditative discipline? This is the essence of jodo training - a practice that is suitable for everyone. You can do this! For more info you can pick up a brochure in the meeting room or you can read an online version. There is a signup sheet in the meeting room - be sure to get your name on it. (Those of you who are new to AZC can check the schedule and simply drop by to sign up.) As class approaches, we will be contacting those on the list. Questions? Always feel free to call or send a note using the Contact page.